Nick is back with another acoustic song! This song is loaded with lots of dark, brooding, solemn chords that are a little bit different and less commonly used. So dig in and enjoy! the tab has been complicated with bracketed notes...bar 1 first beat..bar 3 beat 4 & the last bar..this is on the first page haven't looked at the rest yet. Hello chris sturt! I took a look at the tablature for this lesson and personally didn't see anything out of the ordinary with the tablature. While there may be some degree of variation in the tablature for each lesson, what you see being used in Nick's lesson is standardized tablature which is often used to indicate more than simply the fret and string number. For instance, brackets in tabs are typically used to indicate an artificial harmonic. Here is a link that you can copy and paste into your browser to a great tablature legend that I defer to if I ever run across something in a tab that I'm not sure of: https://en.wikipedia.org/wiki/Tablature I hope that this is helpful! HAPPY JAMMING!! Great song I've always been a huge Dream Theater fan and this is the first song i learned by them and NICK your a very good teacher you made all very easy for me to understand I cant wait to here more Thanks Nick ! Just a suggestion , if possible, if you can add the chords in the order in which they appear in the song, and then when they print out they will be easier to follow and adapt to what ever section one might be working on. 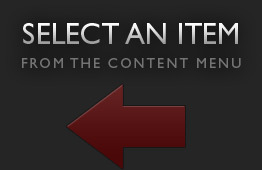 Just a suggestion to make a great site even greater !!!! Ok, so my problems continue with this song...I don't get how to make the percussive strum thing work leading into the Csus4 chord. Any suggestions on how to "practice" that particular transition? Other than that I have the verse working pretty well. Hey Matt, thanks for adding those chord charts. So in my confusion, I notice that Nick calls a chord one thing and your chart has it under another..how does one pick which chord it should be? Example Nick's Csus4 and your Fadd9/C or Nick's A9, and your C# half dim? Sometimes chords can be called by more than one name. The Csus4, Fadd9/C is a good evample (it depends on which note you consider to be the root). A Csus4 chord is spelled C, F, G. The 3rd of the chord (E) is omitted and replaced by the 4th (F). A sus chord of any type usually "assumes" it will be resolved to the major or minor chord of the same name (Csus to C or Cm). If you view F as the root you could call it a Fadd9/C. F could be considered the root, C the 3rd, the 5th is omitted and G would be the 9th. It would be considered a 1st inversion chord because the name tells you that C is the bass note. Either name works, just depends how you look at it. The same reasoning goes with the A9/C#, C# half diminshed. and A9 chord is spelled A, C#, E, G, B. And a C# half dim chord is spelled C#, E, G, B. I look at it as a 1st inversion A9 chord with the root omitted...but, once again, either name works. Nick this is a great lesson, but it would help if the Tab or Notation had the chord names. What is the "C" chord you play which is C F# G D? I don't know this band, but this is an awesome song. That's a Cadd9(#11) chord. It's the last chord diagram listed under the "Supplemental Content" tab. I agree that chord diagrams for the chord used in the song would be a good idea because the chord shapes are rather unusual. I just added the chord charts to supplemental content. With the exception of Cadd9(#11), they are listed in the order that they appear in Nick's song transcription. Thanks for taking care of that Matt! Everything is fixed now we will be adding the chord names shortly! Sorry for any confusion. Awesome song, awesome lesson. Keep the acoustic stuff coming, Nick! I revised the tab and sent it to Vince and Aaron...I don't know how I missed that. Thanks Dennis. 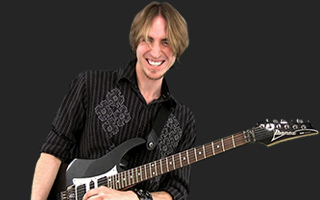 Greathouse delivers Phase 3 Lessons from technical guitarists such as Eric Johnson, Richie Kotzen, Guthrie Govan, Neil Zaza, Joe Satriani, Steve Vai, John Petrucci, and Andy Timmons. Nick Greathouse takes you through every nuance of the John Mayer hit "Daughters". Nick Greathouse guides you through the Collective Soul hit "The World I Know," from their 1995 self-titled album. Nick Greathouse teaches you how to play this great song from the band Three Days Grace. This song has a acoustic and electric parts and is perfect for a beginner not scared of drop d tuning.